Why use different tools to perform various electrical tests if you can find them in one tool. That’s what you get when you purchase the Fluke 179 digital multimeter device. The 179 multimeter is much better than the low price Fluke 117 Electricians multimeter. Read this Fluke 179 review to know more about this multimeter. The Fluke 179 is an industrial grade digital multimeter. It has the ability to test and troubleshoot various functions. These include voltage, resistance, continuity, temperature, etc. Moreover, the DMM is strongly built for longer use. It has a robust plastic casing and sturdy lead tests made from silicone. Also, the hook clips are sturdily made. Features like display screen, backlight, safety standards, and sturdy casing make using this multimeter be fun and enjoyable. It always provides accurate readings. Multimeters have evolved over the years to offer us what we have today. There is a wide range of multimeters on the market with varying features. Some multimeters are cheap while others are very costly. It all depends on your needs and budget. 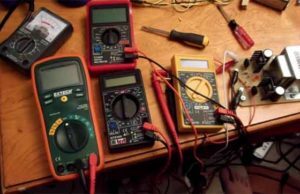 If you are a DIY enthusiast, there is no need to acquire a versatile multimeter as you will only be carrying out the basic tests. But if it’s for industrial use, you need a feature-packed and versatile digital multimeter. 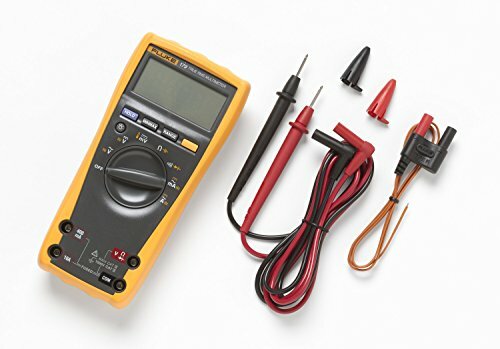 6 Why buy Fluke 179 Multimeter? Why buy Fluke 179 Multimeter? If you have been looking for a digital multimeter device that will last for many years, then this is the device for you. The Fluke 179 digital multimeter is a sturdily built device. This is from its body to test leads and other parts. Also, the carrying case is strong and lightweight. Even though this multimeter combo kit has a wide range of features and functions, it is very easy to use. The LCD screen that it comes with easily displays the results and it can be read in darkness as it comes with a backlight. All the buttons and ports are clearly indicated for easy use and inserting of the test leads. There is nothing to worry about when using the Fluke 179 multimeter. This is because it meets all the current safety standards. So, you won’t be putting your life or that of the device in danger when you use it. Simply follow the safety precautions and you will enjoy using this multimeter. One of the challenges that electricians face is handling the multimeter. Some multimeters are heavy or large and thus very difficult to handle during use. This is not the case with the Fluke 179 DMM as it is lightweight and compact in design. On top of that, it comes with a durable carrying case which is used to keep the device safely after use. A good number of multimeters on the market just perform the basic functions. 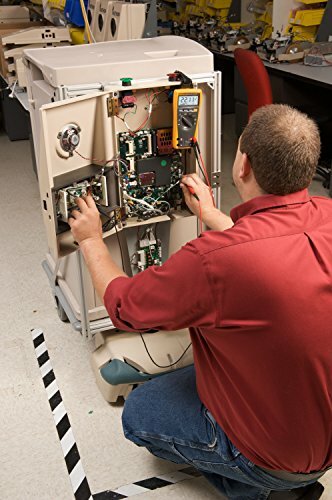 This force electricians to carry separate instruments for measuring different tests and troubleshooting. But with the 179 dmm, you can test volts, ohms, resistance and even temperature. This is because it comes with a built-in thermometer that enables you to conduct temperature readings. Despite performing several tasks in one single device, the Fluke 179 digital multimeter provides the user with accurate results always. Simply connect the leads in their right port and follow the instructions. The manual has different languages which help different people to easily understand the multimeter. The languages are Spanish, French, English, and Portuguese. Unlike the low-end multimeters, the 179 model from Fluke provides the user with quick results. The moment you connect the test leads, it will just take a few seconds and you will be able to read the volts or ohms of the electrical device. One of the advantages of acquiring this gadget is that the manufacturer offers a lifetime limited warranty on defects in material and workmanship. The warranty is not transferable. Thus, you can be certain that you are dealing with a reliable brand that has full trust in its products. The ruggedly built Fluke 179 multimeter performs exceptionally well. It has a wide range of features and can be even used to test the temperature. The multimeter has a large display screen that is backlight, hence, it can be used in a dark area. The test leads and probes are durably constructed for longevity. It is fast and delivers accurate readings. The Fluke 179 multimeter has a sturdy and lightweight carrying case for secure storage of the device. It meets all the latest safety standards and a lifetime limited warranty. For those who want a reliable and strong dmm, the Fluke 179 is their best choice. Still have question after reading this Fluke 179 review? Comment below.